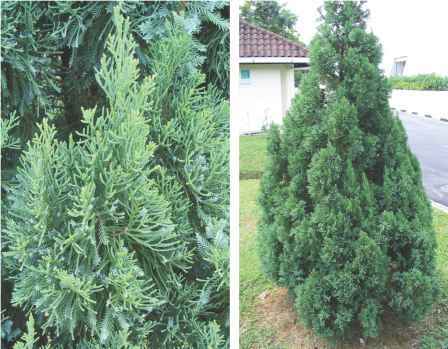 Description: Juniperus chinensis L. is conical shaped tree that can grow up to 25 m tall. Leaves are both scale-like and needle-like. 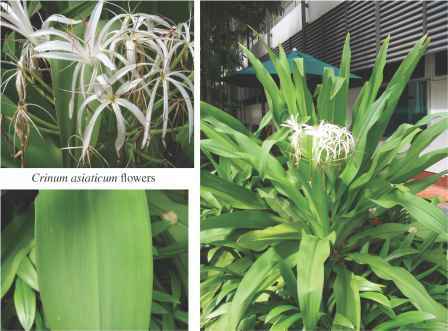 Needle-like leaves are present on both young and adult plants, decussate or in whorls of three, loosely arranged, ascending, nearly lanceolate whereby scale-like leaves are present only in the adult. Seed cones are brown when ripe, usually glaucous, subglobose and 4-9 mm in diameter. Origin: Native to Myanmar and temperate Asia. Traditional Medicinal Uses: The leaves are used as a tonic to treat bleeding resulting from coughs. It is also used for cold and haemorrhage. Liquor brewed from fresh leaves is used as a tonic and to treat hemoptysis. Others include treatment for convulsions, excessive sweating and hepatitis. Its roots are used on burns, scalds and to promote hair growth on scars. Pharmacological Activities: Antibacterial, Antifungal, Antineoplastic^15 Antioxidant,® Hypoglycemic™ and Hypolipidaemic.